Lauren Nolan | The Draper Law Firm, P.C. Lauren Nolan joined The Draper Law Firm in 2019. 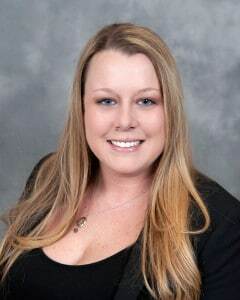 Ms. Nolan practices all aspects of family law and is passionate about her cases and clients. Helping parties through what can be a difficult time and working to provide piece of mind is of paramount importance to her. Lauren graduated from Texas Christian University in 2006, where she studied Marketing and Entrepreneurial Management. While she was at Texas Christian University, she was a member of Kappa Alpha Theta sorority and Delta Sigma Pi, the professional business fraternity. She then attended St. Mary’s University School of Law where she received her Juris Doctor in 2009. While at St. Mary’s University School of Law, Lauren was a member of the Student Bar Association, Student Trial Lawyers Association, and Restorative Justice. Lauren also studied abroad during law school at the University of Innsbruck in Innsbruck, Austria. Lauren was licensed to practice law in 2009 and has focused on family law. Texas Rising Star 2016, 2017, 2018, and 2019.